It seems that several of Liverpool’s injury doubts will be cutting it close when it comes to whether or not they will be fit in time for the trip to face Manchester City. Jurgen Klopp’s side has been hampered by recurring injury setbacks of late and look set to have to deal with further absences on Sunday. The news was mixed when it came to discussing the fitness of Daniel Sturridge, Divock Origi and Roberto Firmino with Klopp still uncertain over who will be available to play. “Roberto will be well recovered,” Klopp also told the Liverpool Echo. Losing all three would have put a lot of pressure on the starting eleven Klopp chooses to win the game for Liverpool given our visible lack of attacking options on the bench at the moment. The trio pose as a main source of goals in this Liverpool team when they are fit and firing, meaning all eyes will undoubtedly turn to Sadio Mane again to produce the goods. 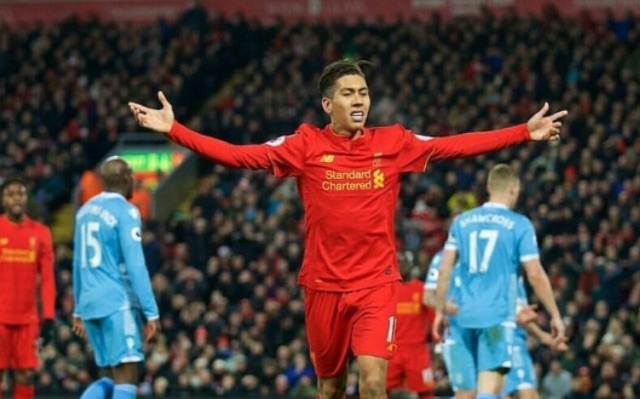 Firmino’s likely return to fitness poses as a significant boost with his combination play with Mane and Philippe Coutinho promising to be key to Liverpool’s chances. The lack of backup on the sidelines also makes it all the more important for Philippe Coutinho to once again step up his return, take responsibility and dictate the game. The Brazilian is due a dominant performance having not looked himself since coming back from an ankle injury.